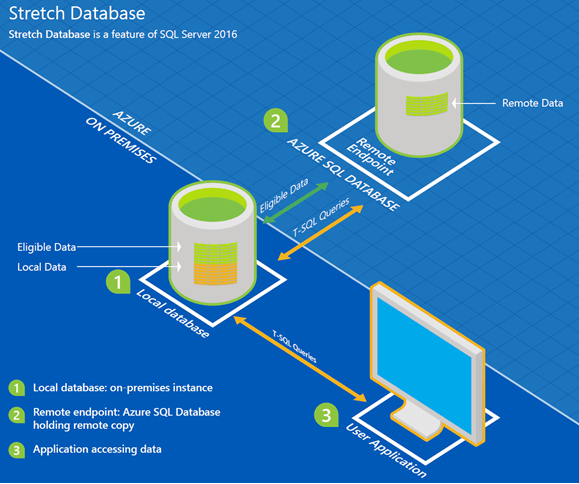 On June 1, SQL Server 2016 was released. 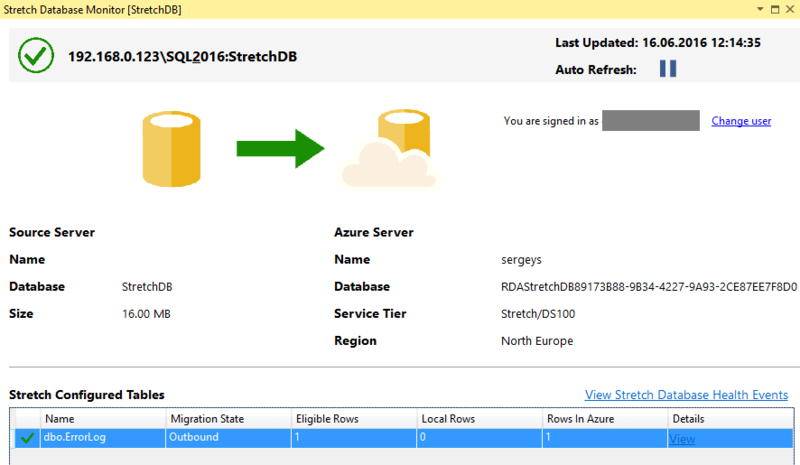 It brought a large number of novelties into normal development, including the long-announced Stretch Database technology that allows migrating data from SQL Server dynamically to Azure. 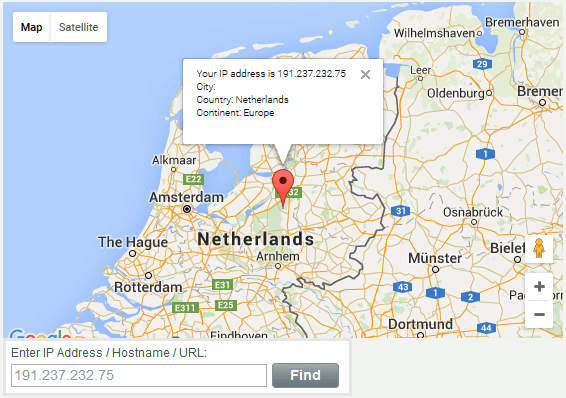 From the marketing point of view, Stretch Database has been well promoted. Reasonable arguments were stating that with the growth of historical data the complexity and cost of its maintenance grows as well. As a rational solution to the problem, the automatic migration of obsolescent archival data to the cloud was introduced. Frankly speaking, I enjoyed the idea. 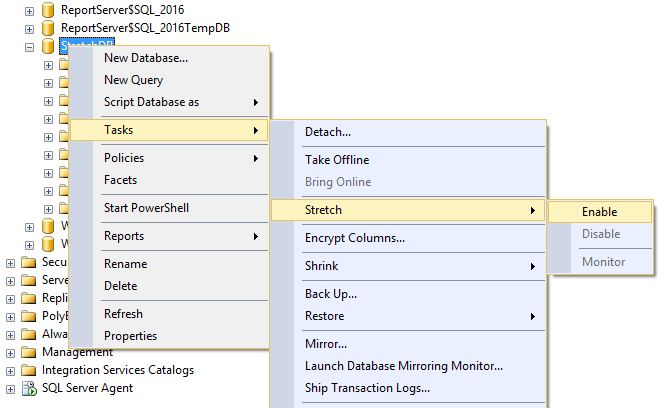 As from SQL Server 2016 RC0, I began testing the Stretch Database technology on two projects I’m helping to develop. The first one is TMetric, a free time tracker with OLTP load, and the second one is an internal project with DW load. 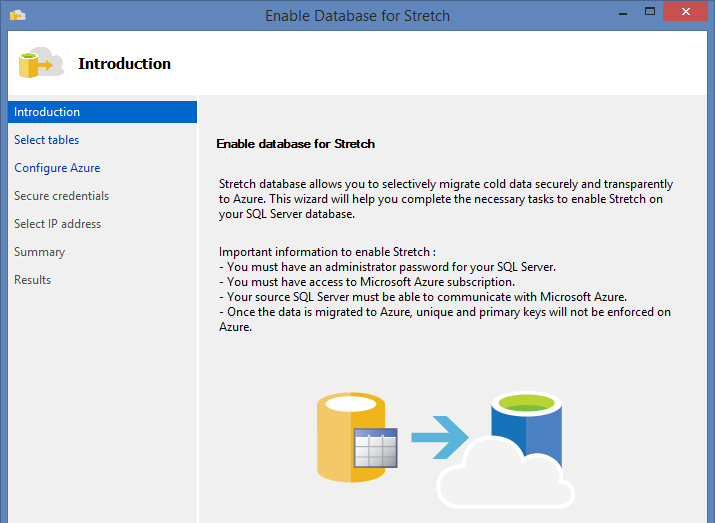 We cannot migrate data from our table to Azure because of some limitations in Stretch Database technology. 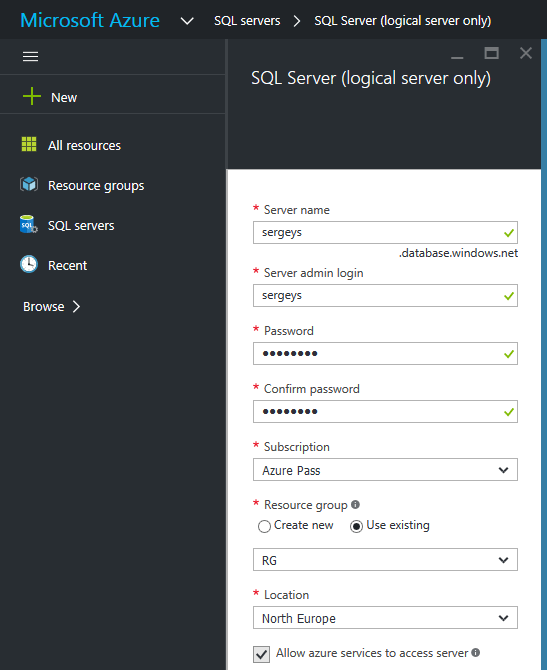 I will list basic ones (limitations that are not mentioned in MSDN are highlighted in bold). 14) external keys referring to the table (for example, you can enable Stretch for the OrderDetail child table, but you can’t do the same for the Order parent table). 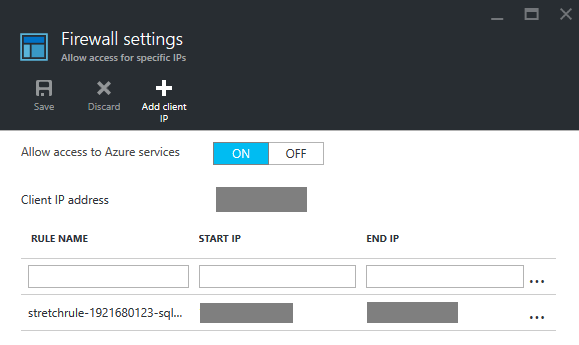 But the wizard cautions, that: Uniqueness is not enforced for UNIQUE constraints and PRIMARY KEY constraints in the Azure table that contains the migrated data. That’s why, for the Stretch tables, it’s better to create PRIMARY KEY on the IDENTITY column, or at least, to use UNIQUEIDENTIFIER. The log includes the following error: Configure Stretch on the Database StretchDB Status : 'Failed' Details : Task failed due to following error: Alter failed for Database 'StretchDB': 'Cyrillic_General_CI_AS' is not a supported collation. ALTER DATABASE statement failed. Alter failed for Database 'StretchDB': 'Cyrillic_General_CI_AS' is not a supported collation. There was a bug in RC3, and if COLLATE of columns did not coincide with COLLATE of the database, sys.dm_db_rda_migration_status would grow without being cleared. Therefore, we may conclude that the bug has not been completely fixed. Therefore, it is highly recommended to set the same COLLATE for columns as for the database. 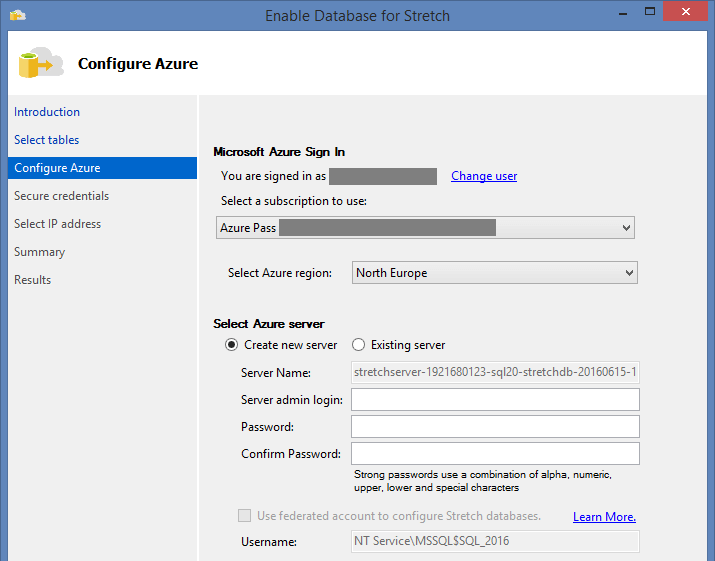 If we take a look at the execution plan, all functionality of Stretch Database is no longer a secret anymore: a linked sever is created together with a separate component that migrates data to Azure. Msg 14893, Level 16, State 1, Line 6 Table '...' cannot be a target of an update or delete statement because it has the REMOTE_DATA_ARCHIVE option enabled without a migration predicate. 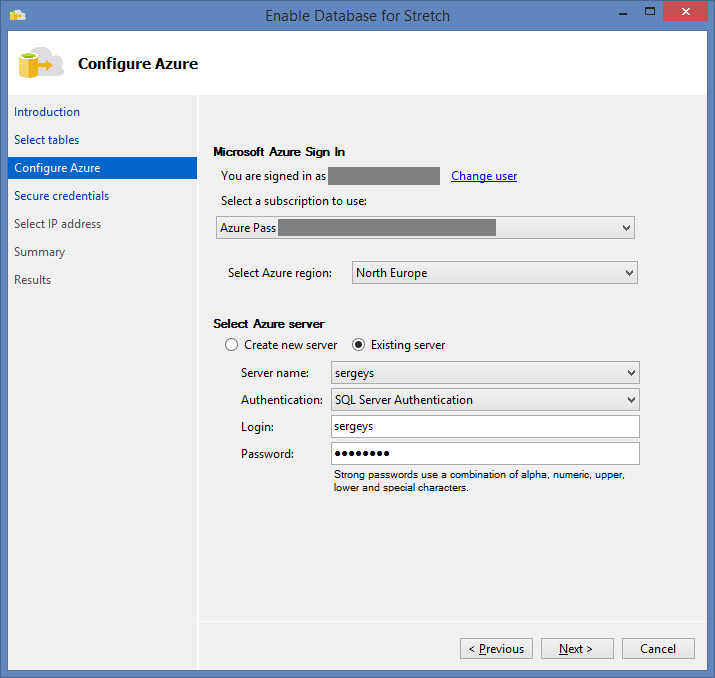 Table '...' cannot be a target of an update or delete statement because it has the REMOTE_DATA_ARCHIVE option enabled without a migration predicate. Msg 14875, Level 16, State 1, Line 14 DML operation failed because it would have affected one or more migrated (or migration-eligible) rows. DML operation failed because it would have affected one or more migrated (or migration-eligible) rows. Table 'ErrorLog'. Scan count 1, logical reads 2, physical reads 0, .... SQL Server Execution Times: CPU time = 0 ms, elapsed time = 1225 ms. SQL Server parse and compile time: CPU time = 0 ms, elapsed time = 0 ms.
CPU time = 0 ms, elapsed time = 1225 ms.
Table 'ErrorLog'. 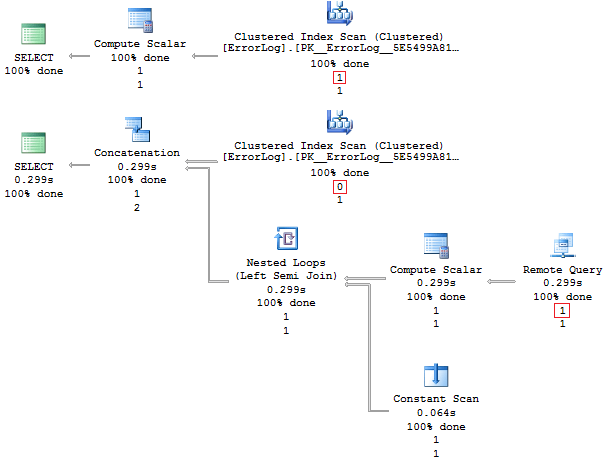 Scan count 1, logical reads 2, physical reads 0, .... SQL Server Execution Times: CPU time = 0 ms, elapsed time = 1104 ms. SQL Server parse and compile time: CPU time = 0 ms, elapsed time = 0 ms.
CPU time = 0 ms, elapsed time = 1104 ms.
As I wrote above, I tried to use Stretch Database for two projects. There was a large table with spans of work-time in TMetric time tracking app. 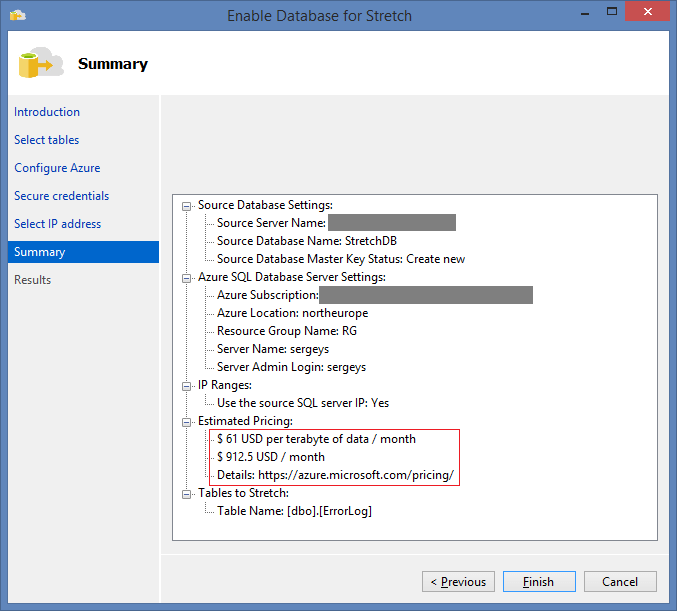 Call to this table goes quite actively, that’s why Stretch Database simply could not do well because of its slow performance. The size of the table was treated in a simple way: all external keys were deleted and the table was recreated with the clustered COLUMNSTORE index (after all, the table was reduced in 12 times). In fact, we deal with the demarcation between historic and operative data, and in result, we delicately sidestep the performance problem. 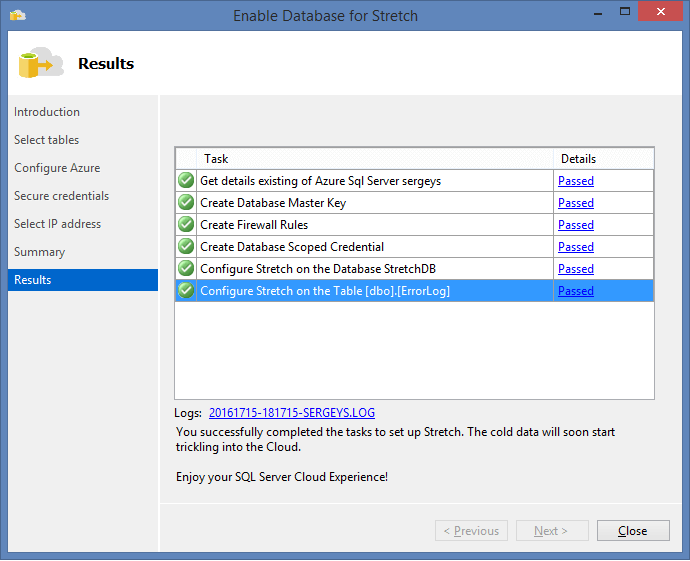 This post covers all problems I faced for two-three moths of working with Stretch Database. I do hope it will be useful to readers.